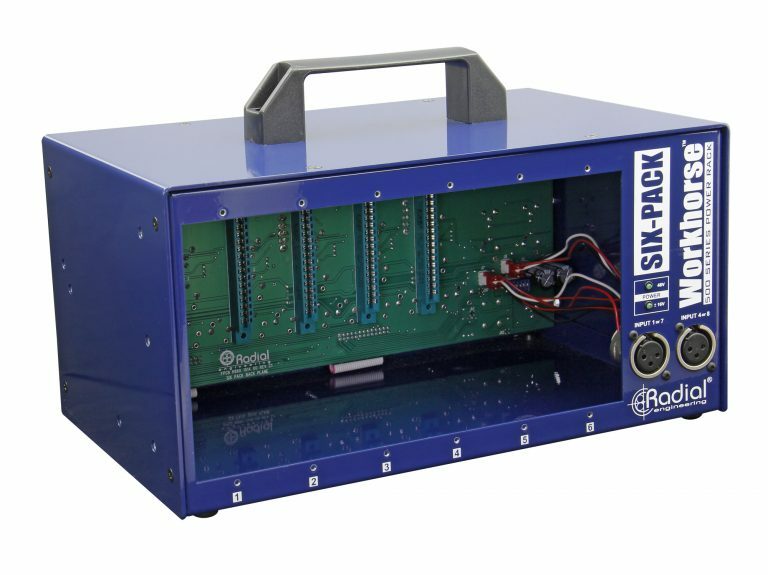 The SixPack is a desktop power rack for 500 series modules that lets you mix and match up to six modules and safely power them to create a stereo channel strip or unique signal chain. 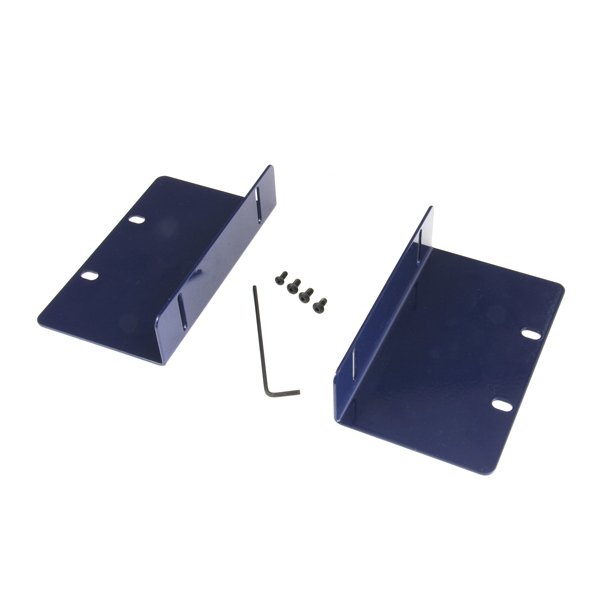 The design begins with a heavy 14-gauge steel construction and durable powder coat finish. 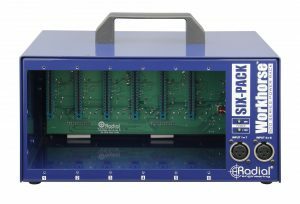 This provides extra durability when moving the SixPack around the studio while also providing better shielding against stray magnetic fields. 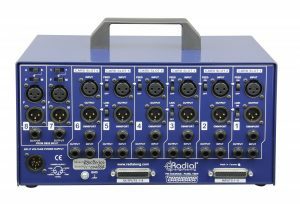 To reduce induced noise, the power supply is external and connects using a 5-pin locking XLR. 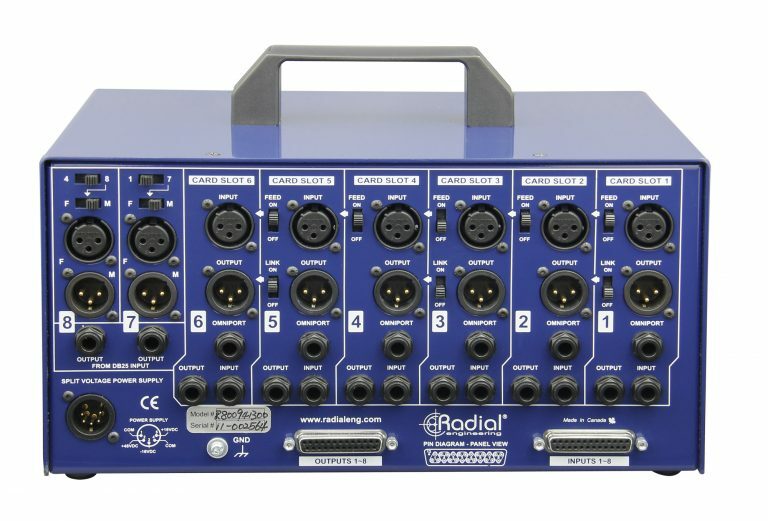 To ensure positive contact, the module card-edge connector is mated to a double sided EDAC 15-pin receptacle that is 100% compatible with the old API pin format. Extra safety is built-in to ensure malfunctioning modules will not harm the SixPack or other modules that may already be connected. 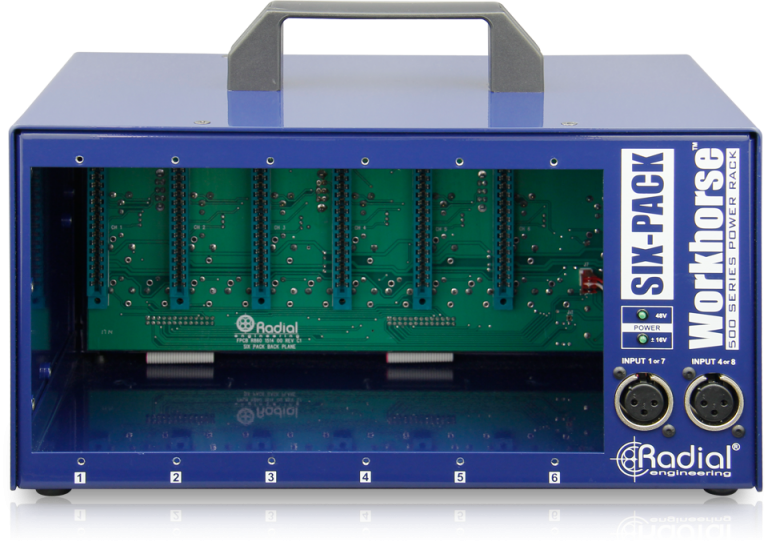 And with 1600 milliamps of shared current, the SixPack exceeds all others with an average of over 265 milliamps per slot to ensure even the most power hungry tube modules will be satisfied. Use the SixPack's six slots in a 3 + 3 format to create the ultimate stereo channel strip. Combine a PowerTube preamp with a Q4 class-A EQ and a Komit compressor and you have everything you need to get the job done. 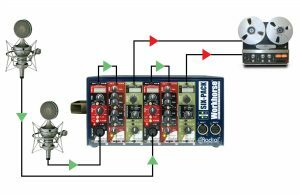 Fill the SixPack for your next session by recording direct using a JDV instrument preamp Q3 coil EQ and Komit compressor. Combine this with a microphone using a PowerPre mic preamp, Q4 parametric EQ and a PhazeQ to phase-align both channels. 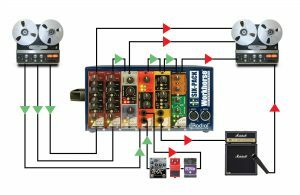 Build the ultimate analog side car to warm up those digital tracks. 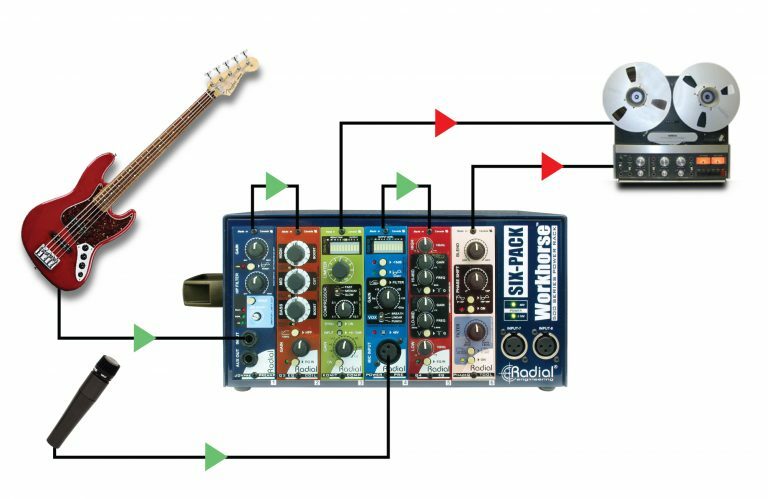 Start with two Q4 class-A semi parametric EQs and then phase align the two channels with the PhazeQ. Add an EXTC to bring in a guitar pedal, Reamp out using the EXTC, frequency divide a track using the Tossover. 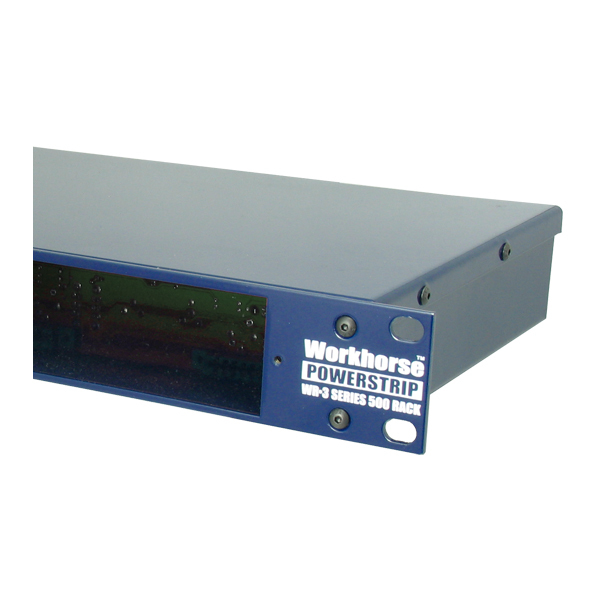 "I am quite impressed with the amount of thought that went into the design and specifications of this unit. As you can see from the limited amount of "limitations" I commented on, there really aren't any significant flaws to it. 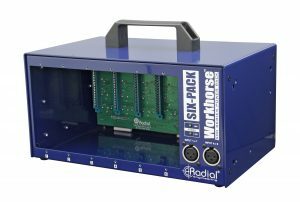 It's solidly-built and has thoughtful features nearly everywhere you look that make the unit easier or more flexible to use. It's a marvel of excellent design and engineering." 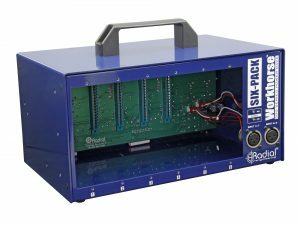 The SixPack Rack Adaptor may be used to mount the SixPack 500 series power rack into a standard 19" rack or be mounted into a desktop.